Looking for a job in LaPorte County Indiana? The following guide provides a listing of LaPorte County top employers to include local government employment portals, healthcare job links, and a variety of schools that provide great teaching and support staff careers. 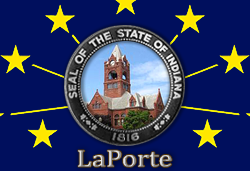 LaPorte County periodically posts job openings on their website. During this review there had been open positions posted such as Superior 4 Magistrate, ICAC Admin & Operational Support, Jailer, Part-time Cook, Paramedic, Emergency Medical Technician EMT, Janitor, Maintenance Worker, Youth Specialist Worker, and Part-time Reception Center Youth Specialist. Visit the county site often for ongoing employment listings. Non-emergency positions will be posted with more frequency once the LaPorte County Council hiring freeze is lifted. LaPorte County Public Library periodically posts employment opportunities for its various branches. Here you may find opportunities such as Customer Service Specialist, Librarian, Shelver, Maintenance, Finance Manager, and other support staff positions. The City of La Porte posts career opportunities when vacancies become available. During review there were open positions for Golf Course Laborer and TransPorte Driver. Check for updates. During review Michigan City had employment applications available for Firefighter, Police Officer, and a Sanitary District Application for Employment. Michigan City Public Library periodically posts employment opportunities. La Porte Hospital has been the heart of healthcare in La Porte for more than 40 years. Here you may find open positions such as Cardio Non Invas Tech (EKG), Certified Medical Assistant, Certified Medical Assistant Pediatric Care, Clinical Educator, Customer Service Representative, Environmental Services Worker, Food Services Worker, HVAC Mechanic, Medical Lab Tech, Medical Technologist, MT MLT, Certified Nursing Assistant (CNA) IMCU PRN, Nurse Assistant (CNA) Med / Surg, Nurse Practitioner Wound Care, Physical Therapist Home Health, Registered Nurse RN Cath Lab, Registered Nurse Sign on Bonus RN, Registered Nurse RN Emergency Svcs, Registered Nurse RN Intensive Care Unit, Registered Nurse RN Labor & Delivery PRN, Registered Nurse RN Operating Room Sign on Bonus, RN Orthopedic, Security Officer, Social Worker Case Management PRN, Social Worker LCSW Primary Care, and Speech Therapist. Franciscan Health Michigan City appeared to be under construction on this review date, but this new facility will surely be looking to hire for a variety of positions. It will have 130 inpatient beds. The new facility also will have the latest in technology and equipment in the cath lab and operating rooms. Check their site frequently for open positions. Indiana University Health primarily had a variety of Nursing RN positions on this review date. Check their listings for current opportunities. LaPorte Community School Corporation employment opportunities found had included Academic Club Sponsor, Long-Term Temp PE Teacher, Long-Term Temp Preschool Teacher, Substitute Bus Assistant, Tutors - MS After-School, Athletic Coach, Academic Coach, Bus Driver, Childcare Instructor, Night Custodian, Assistant Classroom Instructor, Noontime Assistant, and more. Visit their site often for current listings. Metropolitan School District of New Durham Township had been hiring teachers and support staff during this survey. These were among the opportunities found: Middle School Track Head Coach, Cafeteria Workers, Cafeteria Substitutes, Middle School Math and/or High School Math Teacher, Bus Driver, Substitute School Nurse, Substitute Bus Drivers, Substitute Teacher, and Computer Technician. John Glenn School Corporation often posts teaching and support staff jobs when vacancies exist. During review the following positions were found: Boys' Assistant Soccer Coach, JV Softball Head Coach, Assistant Middle School Wrestling Coach, 5th B Girls' Basketball Coach, Substitute Teacher, and School Bus Driver. Check for updates. Michigan City Area Schools had been hiring for a variety of positions including Bus Driver Substitute, Bus Monitor Substitute, Food Service Tech 2, Food Service Substitute, Food Service Assistant, Instructional Assistant, Paraprofessional, Safe Harbor - Before School Care Assistant - Various Elementary Schools, Safe Harbor - Club Discovery Tutor, Safe Harbor - Homework Assistant Club, Secondary Teacher PE, Security Personnel, and Special Education Teacher - Mild Disabilities 1.0. The New Prairie United School Corporation, in collaboration with its community, provides students with a quality education that develops responsible citizens as life long learners. South Central Community School Corporation was hiring on this review date. Open positions available had included Superintendent, Girls Basketball Coach, Girls Head Track Coach, Sub-Cafeteria, Sub-Custodian, Sub-Bus Driver, and Substitute Teacher. Tri-Township Consolidated School Corporation lists certified, non-certified, and bus driver positions when vacancies exist. Be sure to click on the links on the left-side of their employment page to view listings. Ivy Tech Community College hires adjunct faculty and support staff throughout Indiana. Check for listings in your area. The Michigan City Craigslist Jobs section provides ongoing classifieds listings for jobs such as Maintenance Technician, Laborer Jobs, Truck Driver Jobs, Dental Assistant, Car Washer, HVAC and Plumbing Careers, Desktop Support Technician II, Part time Sales Photographer, Owner Operator, Medical Assistant, Nail Tech, Server / Waiter, Office Administrator Internship, PT Dishwasher, Cooks, Tutors Needed, Sales Jobs, CDL Driver, Construction Jobs, and more.